Our website has two types of product categories. Many products can be ordered Online by simply adding the items to the shopping basket before completing your purchase using our approved 30 day credit accounts for schools. 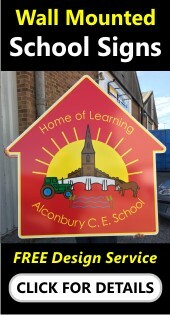 Many school signs and custom school notice boards are made especially for you so are by Special Order. 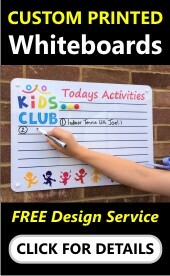 On each product page for these products is a Information Sheet / Enquiry Form. Simply download and complete the enquiry form following the guides shown on each form and return to us by email, fax or in the post. You can download and print a PDF copy of our Order Form by following the PDF link below. Once completed please return to us via email or post along with your official purchase order. You can download and print a PDF copy of our Account Application Form by following the PDF link below. Once Completed please return to us via email or post along with your official purchase order.